Eons ago, when the earth was new, perhaps many a generation after the fall of Adam and Eve, a large group of Celestial beings; or simply put ‘spirits of a higher realm” descended from the Heavens in hopes of living on the earth plane among humans. However, after Adam’s fall from Grace, humans became viciously carnal and cruel and it appeared to the newly arrived visitors (whom were later identified by the Babylonians as Annunaki) that they were abandoned by the Creator. In truth, the Creator did not abandon the human race; he was saddened by all that had transpired between them and the evil Serpent whom had taken control over the earth and leaving humans to his mercy. Disturbed and disheartened by the chaotic and unpleasant nature of the earth beings, in an attempt to return earth to its natural order, the Annunaki used the four elements of nature and bound it to the spirits of men; gods of an almost infinite variation-gods of fire, gods of dream, gods of death and destruction, chaos, love, the sky- were created. Shortly thereafter, the Annunaki enlisted the help of humans to build a great city which is known today as Atlantis. This great city was to be a Mecca for other Annunaki who had yet to descend. 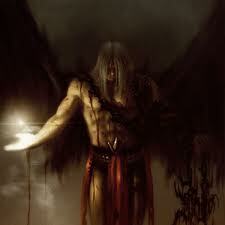 However, the longer the Annunaki remained on the earth plane, the more sinful and vain they became. They began to indulge in pleasures of the flesh and began to mix with both human men and women. They soon claimed the credit of creating mankind, and forced the humans to build temples of worship for them and for the gods they created. In response to not only the behavior of the humans and the idolatry but to the blasphemous teachings of the Annunaki, God swept the earth with a great flood killing every living thing, except for whom the Bible spoke of in the Book of Genesis: Noah and those that were protected in the Ark. Atlantis was gone. Saddened and incredibly humbled, the Annunaki, the Fallen Angels as they are now known decided that it was time to depart but they were not allowed to return to the Heavens-at least not until they put right all that they have done, including creating the deities who had already begun to wreak havoc on mankind. 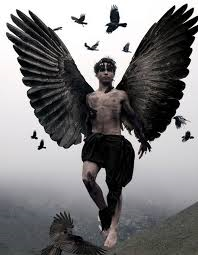 Unfortunately, the Fallen Ones were now forever divided, many of them taking refuge under the wicked wings of the Serpent with a promise to rule over mankind. 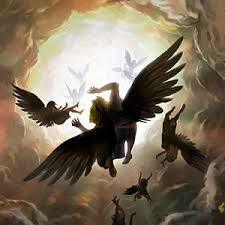 There were only six out of the thirteen fallen angels that had originally descended that remained steadfast to their vow of restoring the balance of nature, and overtime, these Annunaki scoured the earth searching for humans would later on become slayers who would top ALL slayers: Destroyers.